A lot of people say LUSH has amazing products so I picked up a lot of different products from LUSH hoping to get better skin, LUSH haul here. 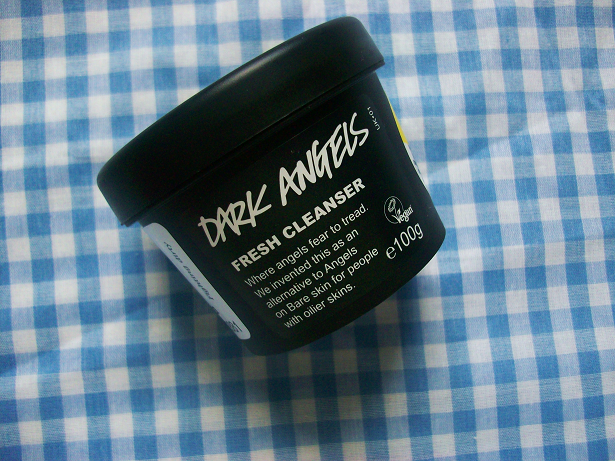 I really was looking for an amazing cleanser so I picked up Dark Angels hoping it would be "the one". However, this product didn't do everything I wanted it to do. What it claims to do: "Deep dark cleansing facial scrub for young and oily skin. 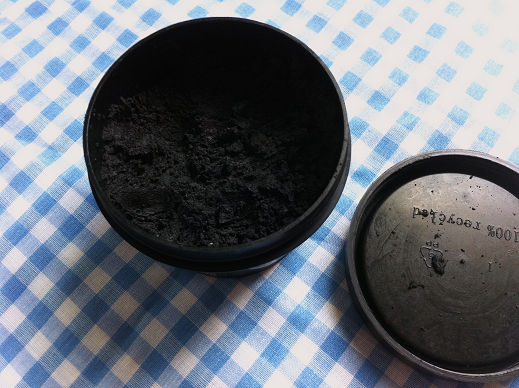 With charcoal, Rhassoul mud, soothing sandalwood and black sugar"
- Last forever! I got the smallest tub and I've barely made a dent! My experience: The first day I used this I notice how messy it was, I hate messes so this was kind of difficult to use at first but now I'm better at not making such a mess. You get a bit of the product and then add water to create a muddy texture and then smooth it across your face. The first thing I noticed about this cleanser when using it was that it smells like Froot Loops cereal which made cleaning my face much more enjoyable! After a few days of using Dark Angels my skin starter becoming more and more softer and there was less blackheads around my nose area. So why didn't I like this product you ask? Because the bits in this cleanser are kind of harsh on my skin, it's feels more like a scrub then cleanser if you ask me. Also, some reviews online said that this cleanser decreases blemishes but I didn't see that. Would I recommend this product to someone? If you want softer smoother skin, yes. It makes a nice exfoliate but I don't like using this everyday and it just made my skin softer (which didn't really amaze me). 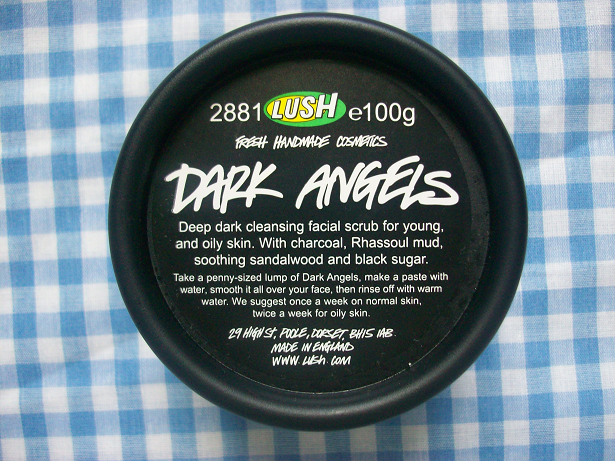 You can buy the LUSH Dark Angels Cleanser here. What's you favorite Lush cleanser?